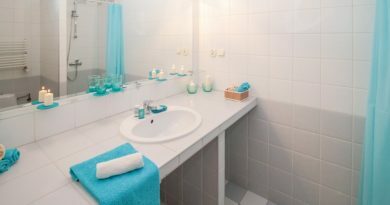 Awesome Mirrors And LED Bathroom Cabinets - UK Lifestyle Buzz. The start of a new year always gets you thinking about ways in which you can renovate your home. The bathroom and kitchen tend to be the biggest renovation projects, so to get you started we’ve focused on the humble bathroom cabinet. So, what’s so different about bathroom cabinets and mirrors these days? Take a look at our five awesome mirrors and led bathroom cabinets to inspire you. These bathroom cabinets and mirrors use technology in ways we feel would be a great asset to any bathroom. Whether it’s an integrated radio, LED lighting or de-mister technology we think these mirrored cabinets will brighten up even the darkest of days. This Westbury Designer Mirror allows you to hook up an MP3 player to the mirror to play your favourite tunes while you get ready. As well as allowing you to play your music through the integrated speakers the soft lighting provides you with ample amounts of illumination for shaving and applying make-up. Similar to the Westbury Designer Bathroom Mirror, this Romper Rhodes Mirror comes with a DAB and FM radio and a digital clock so you’ll be surrounded by music as you scrub, brush and clean. It has integrated stereo speakers for great sound quality and a heated demister pad to help keep the mirror fog-free. This Bathroom TV Mirror is the ultimate entertainment option for your bathroom. Complete with a stunning design, great picture and sound quality it will definitely enrich your life. An LED bathroom cabinet will beautifully enhance any bathroom. These cabinets from Modern Mirrors all come complete with a demister pad, shaver sockets and eco friendly technology to provide highly effective performance with minimum energy consumption. This Robern Mirrored Cabinet with Cold Storage is able to be kept at a refrigerator-like temperature which is perfect for high-end cosmetics and medicines that need to be kept chilled. Do any of these designs take your fancy? Let us know in the comments which features you would opt for for your LED bathroom mirrors. ← Can Mirrors Help you to Lose Weight?